Commercial Dambuster Deicer Roof Deicing Products - For Professional Roofers. Prevent Roof Ice. 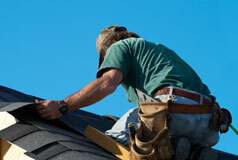 The last thing your clients need this winter is roof damage. Dambuster Deicer products are a cost-effective solution for keeping ice away and roofs in great condition throughout the year. Dambuster Deicer products instantly add another income generating service to what you already provide for clients. By purchasing Dambuster Deicers and offering installation services to homeowners, you can easily add another profit stream to your business. Increase your revenue and in turn give clients an added measure of trust and loyalty to you. Contact us for more information on Dambuster Deicers and how we can solidify your roofing product line.